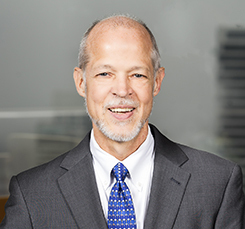 Dennis concentrates his practice on representing financial institutions on a wide range of corporate and regulatory matters and has over 25 years of experience in the area. Dennis regularly advises clients on the mergers and acquisitions of financial institutions, the raising of additional capital through public and private offerings of equity and debt instruments, and other strategic activities and initiatives. He has a wide array of experience in structuring corporate and financial transactions. Dennis also provides counsel to boards of directors on issues of corporate governance and regulatory compliance and enforcement matters. Earlier in his career, he represented federal bank regulatory agencies in the receivership of over 75 savings and loan associations. This has provided him with valuable practical experience in his current representation of troubled banks and also healthy organizations bidding for failed institutions. During the past 10 years, Dennis has also represented the organizers of over 100 de novo banks across the country, including those forming banks in Illinois, Iowa, Wisconsin, New Mexico, Arizona, Indiana and New York. Dennis is a frequent speaker at schools and seminars for bankers on issues of financial institutions law. He was an adjunct professor of banking law at Northwestern University Pritzker School of Law. Fidelity Information Services Envision Forum, Charleston, S.C. Peoples Bancorp Inc. to Merge with First Midwest Bancorp Inc.